I don’t think I could say it any better Paul and Alan. Etmooc is definitely alive and well. The connections we have made will last a lifetime and for that I am truly grateful! I get to keep learning with all of you fabulous people that I consider a part of my extended family. We can cut off its head, fill its mouth with garlic, and drive a stake through its body, but we apparently can’t kill a well-designed, engaging, dynamic learning experience and the community of learning it spawns. Nor would we want to. 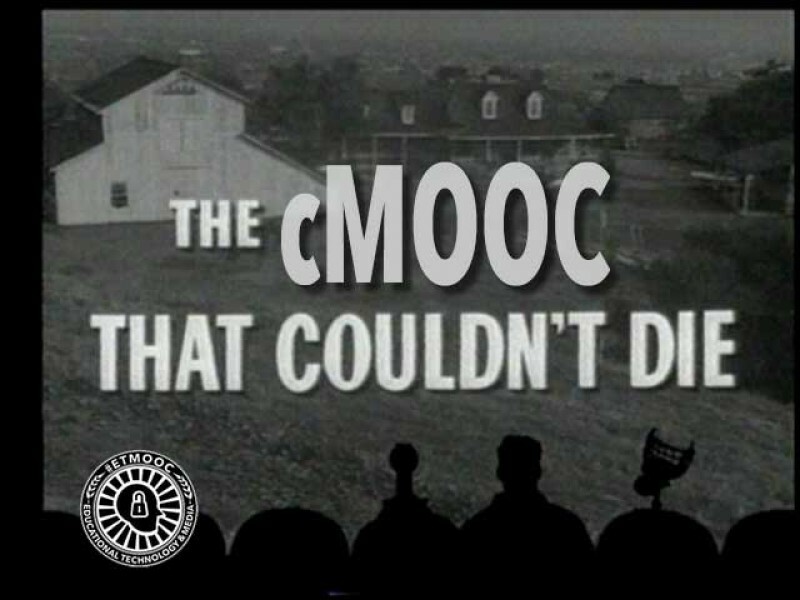 At least that’s what a cherished colleague, Alan Levine, suggests in “The cMOOC That Would Not Die,” a newly-posted article (with accompanying graphics that puckishly draw upon horror-film imagery) that captures the spirit and reach of #etmooc—the Educational Technology & Media massive open online course he helped shape and facilitate as a course “conspirator” in early 2013.